HP-15 ac114nia Notebook features would not be listed in details here, but I will point out the PROS and CONS. HP-15 ac114nia is a High end Notebook for an ordinary Guy, but we the Geeks search for the flaws and point it out. 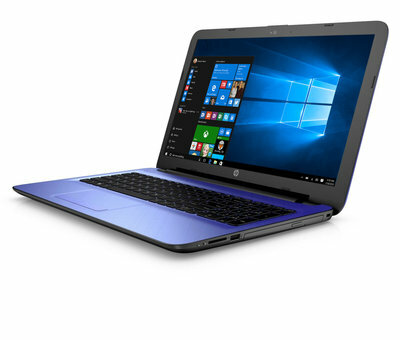 HP-15 ac114nia (Energy Star) flaws are not noticeable and would definitely not hinder your operations with the notebook. You may even a step to ensure a long lasting Notebook. Processor Speed: HP-15 ac114nia has a Pentium processor of 1.6ghz quad core with a burst of 2.0ghz. This is not actually a standard speed anybody would want now. Mostly the gamers would definitely not go for this. Because you are bound to experience frame skips when you do not tweak some preferences. Poor CPU Process handling: If you the type that max out your system resources during usage, I mean resources such as RAM, CPU, DISK WRITE. Then you would not like this notebook. Because this notebook is not friendly with that level of usage. It kills every running process except display, in order to get some space. So let’s say you are on the internet and you have Microsoft word running, with some design active in Corel draw or Photoshop and some other misc. processes at the background. At this time, you must have used much of system resources and a system Lag is bound to occur. When this system Lags grows to a freeze in HP-15, get ready to lose your work in progress. LED Position: The battery indicators, Hard-Drive indicator and power indicators are placed on sides The LEDs in Notebook are not in convenient enough. This is a flop in Body design. Sleek Design: So many notebooks exist with that rugged design and does not work for many. For this reason, HP-15 ac114nia stands out. You can flaunt the design of this beautiful notebook. Long Lasting Battery: 7hrs run time without much task such as browsing. I personally witnessed this. And it takes 1hour 30minutes to attain a full battery.